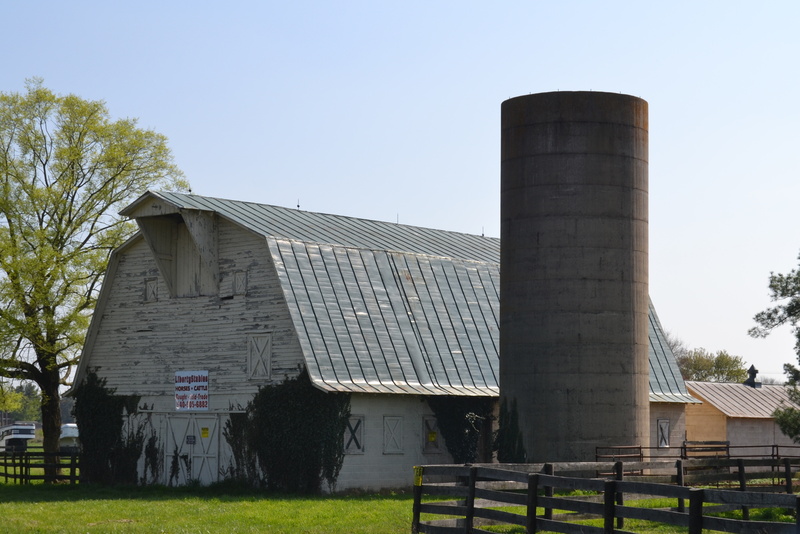 For Barn Charm today, I’m sharing yet another photo from our trip to Strasburg last month. Exactly how many pictures did I take during that trip, you ask? Now, back to Barn Charm. Here’s a barn we saw along the way. And, in the side lot, a little bonus barn that I’m throwing in at no charge. 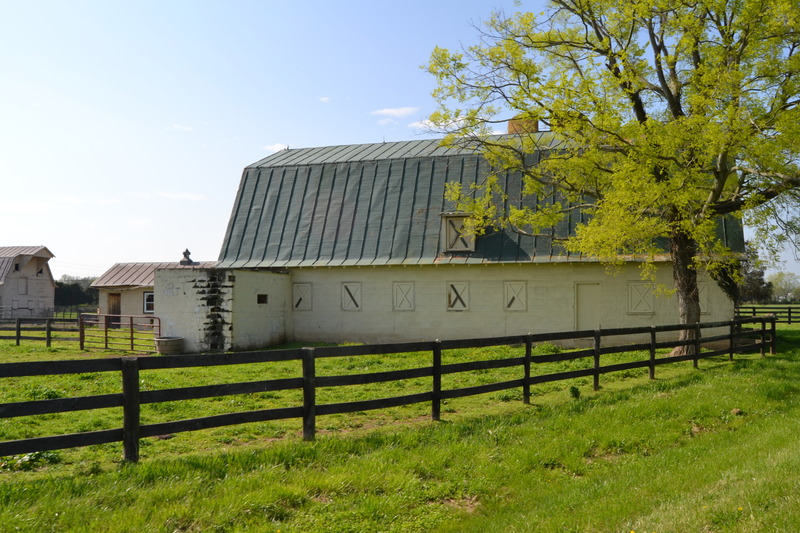 A side view of the main barn. 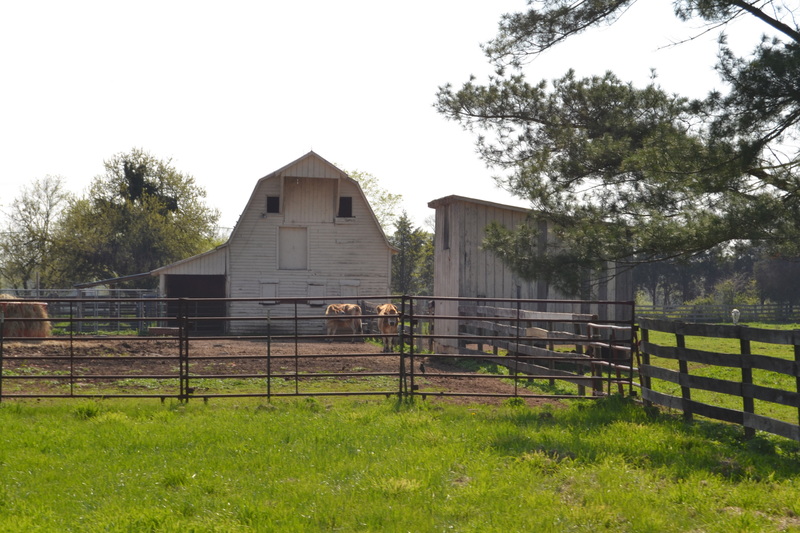 A side view of the bonus barn – with a cow, standing in the sunlight. And a cute little calf, peeking at us under the fence. I think he knew that I’m a country girl. This entry was posted in Traveling Days and tagged barn charm, barns, strasburg va. Bookmark the permalink. Strasburg is such a beautiful town. No wonder you were inspired to take a lot of pictures. I hope that means more will follow. Nice barns! I like the extra little barn you threw in at no charge to your viewing public (us). 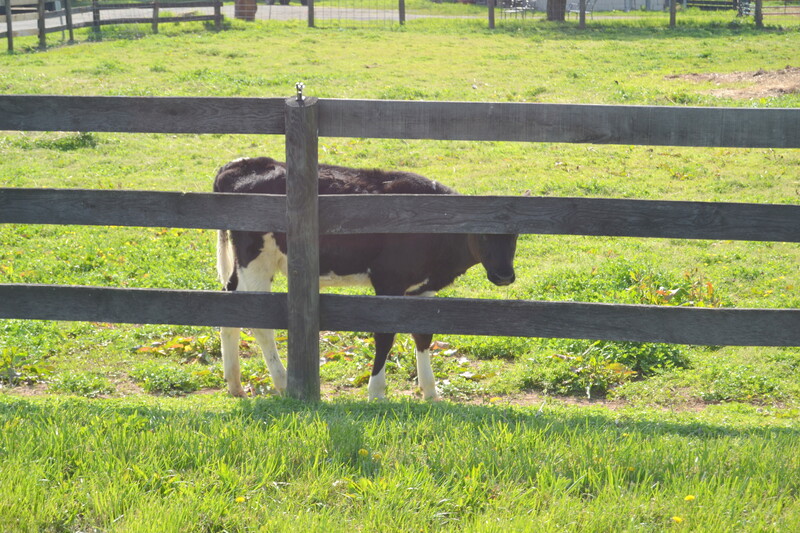 I think the calf knew you were a kindred spirit so he was giving you the eye through the fence. Great shots……..
Nice to see such a vibrant, working farm. That’s one big barn! i love that barn and i especially love the pics with the cows 🙂 i don’t think we’ve been to strasburg…must add it to my list. we have to go to virginia beach this weekend for my daughter, she’s having an event there….hopefully i can get some barns on the way if the hubs isn’t in too much of a hurry! Love the little calf! At least we know this barn is loved and being used. Nice fence too and this barn kinda has a face even if it’s a little wonky 🙂 Love a face on a barn! sweetday…is right. There is a face on the side of the big barn. 🙂 Delightful two fer one + cows. 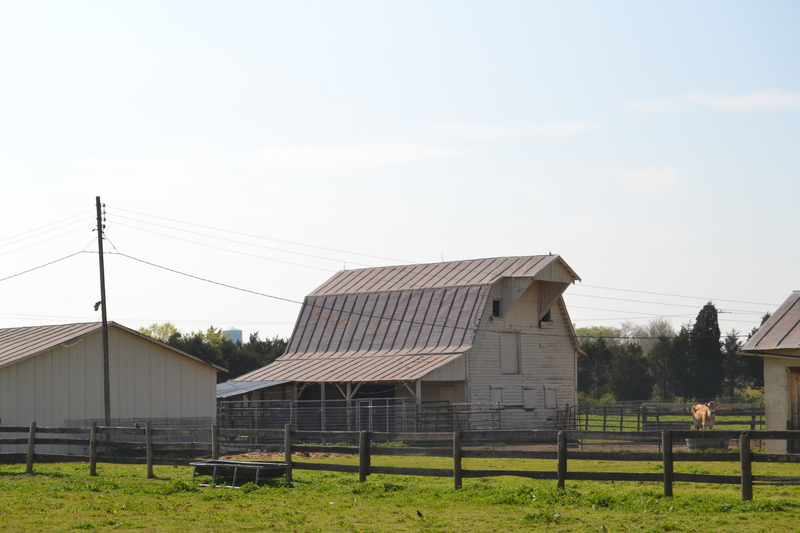 Being a county girl myself, I love barns, too. As a child that was a favorite playground for me. For those of us living in the city, it’s nice to see the ‘country’ pictures. Looks like those barns are getting a lot of use. Lovely barns! Strasburg is such a great area for finding them. What pretty barns! And the calf and cow were just a bonus. I loved Strasburg when we went through…would like to go back and spend some time! Awww, I love cows! Aren’t their big eyes so adorable?! My hubby doesn’t understand – he grew up raising cows and thinks they are ugly. I don’t think so one bit! Very cool barns…I love seeing these kinds of photos – they make me miss living in the country. Beautiful area. You know Harold was born in Roanoke and raised in Front Royal, so we are very familiar with the area. Did you go by the Strausburg Inn. Very beautiful place with lots of antiques. We attended a wedding there. Great pictures. I love seeing the barns being used. These photos complete with cows make me homesick for the farm! This was a great find! I like the big barn but that little one has got the charm!!! I wonder if the little barn might be where they take the cows with calves. Nice barns! You took so many pictures your camera couldn’t count that far, didn’t you? And no charge for the extra barn! Don’t get much for free these days!